I am back in the city after three days of hibernating in the beautiful island of Puerto Galera. I am back, fatter and darker. Blame everything on the sun and great food. For those who are not familiar, Puerto Galera is part of the island of Oriental Mindoro. As I have mentioned in my previous post, the Philippines is an archipelago. My country is comprised of 7,107 unique and beautiful islands. 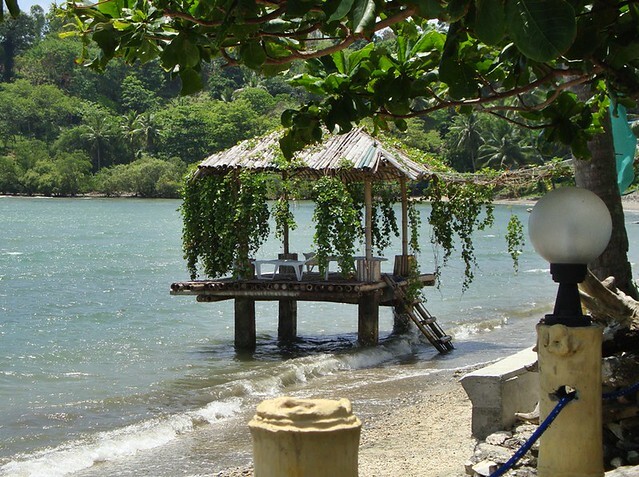 Puerto Galera is one the well known tourist and summer destinations here. The place is surrounded by the lush mountains and beautiful beaches. My workplace is responsible for bringing me to Puerto Galera. I work in an institution where we are given the opportunity to have summer outing once a year. This is off from work and fun time with my workplace friends. A bus ride to the Port of Batangas and a ferry ride to Calapan Mindoro will take you to the island of Puerto Galera. The trip is quite exhausting but the experience in the island was all worth it. The challenge and thrill of riding this boat is feeling the frightening waves of the sea. But with God's grace, we were able to arrive at Puerto Galera safe, happy and excited! Our first stop was Puerto Nirvana, the resort which housed us for three days. The Infinity Pool is one of my favorite spots at Puerto Nirvana. The owner of the resort even allowed us to view his private place. Aside from the fact that he already has a breathtaking place by the beach, the selection of furniture made the owner's place cozy and homey. The rattan pieces for me are best for rest houses. 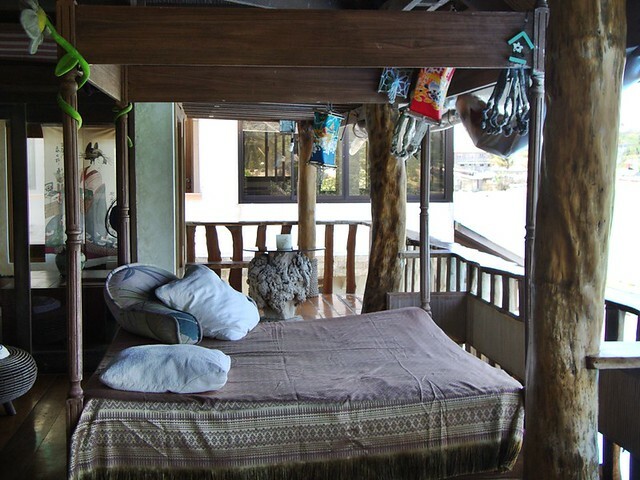 I love this wooden bed in the terrace. This part of the terrace perfectly defines relaxation and vacation. Lying in bed and enjoying the view of the sea is priceless. 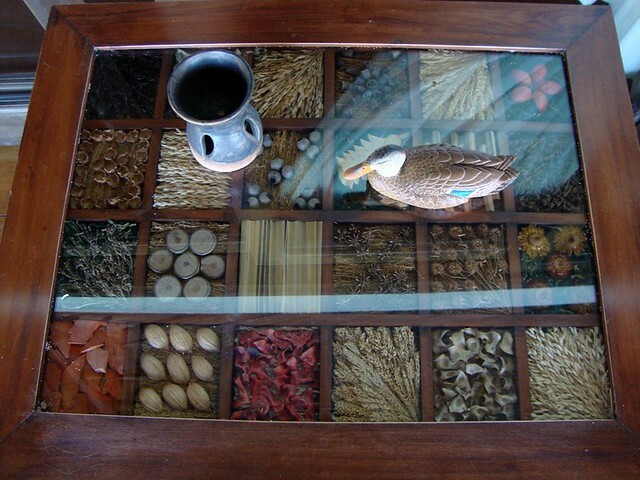 If I am not mistaken, this table is made of wood and dead sea corals. 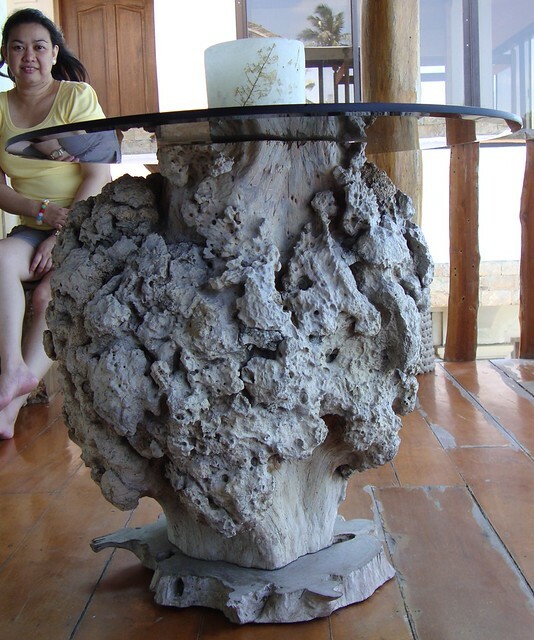 If you are familiar with mangroves, (trees that grow and are submerged in saline waters) this table was made from the trunk of a tree where corals have grown. Glass topped side table with shells, corals and other natural elements from the sea. 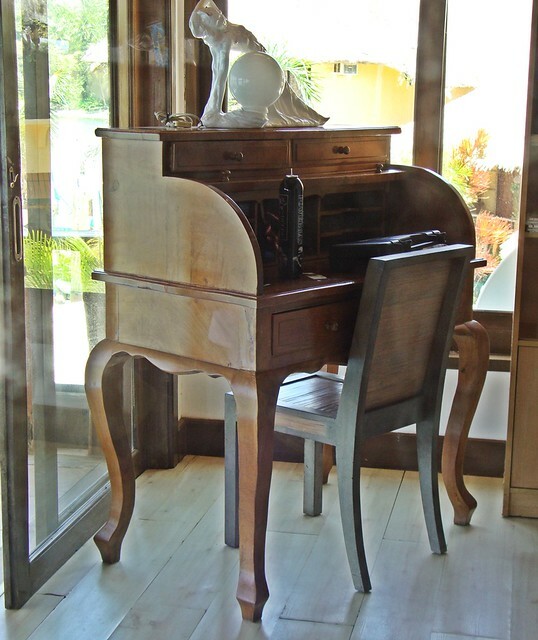 I have always dreamed of owning this kind of study or working table. For me, the beach is best experienced during this time. The scorching heat of the sun is gone and what you can feel is the sound of the breeze and waves of the sea. This is just day one of our three day stay at Puerto Galera. I will be sharing the other places we have visited on my next posts. For now, I need to rest and sleep because it's back to work tomorrow. Love the organic interior of that home. The tree trunk table is so unique and I always wanted one of those desks too, but in a lighter colour! Puerto Nirvana truly lives up to it's name. I love the infinity pool-there was one in Mexico where I visited in March and I fell in love with them. The ocean looks so lovely as does the entire surrounding..tables, etc. What a wonderful holiday. What a beautiful, beautiful paradise! I like the interesting furniture, too.